Nike Skateboarding was established in 1997 and has continued to grow into one of the giants of the skateboarding footwear market. In 2002 Nike announced the "SB" brand of footwear which featured the now iconic Dunk Low model. Nike has one of the best teams in skateboarding with names such as Paul Rodriguez, Eric Koston, Stefan Janoski, Cory Kennedy, Brian Anderson, Grant Taylor, Lance Mountain all supporting the swoosh. 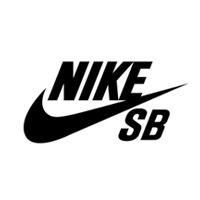 Nike SB manufacture quality skateboarding footwear, apparel and accessories.